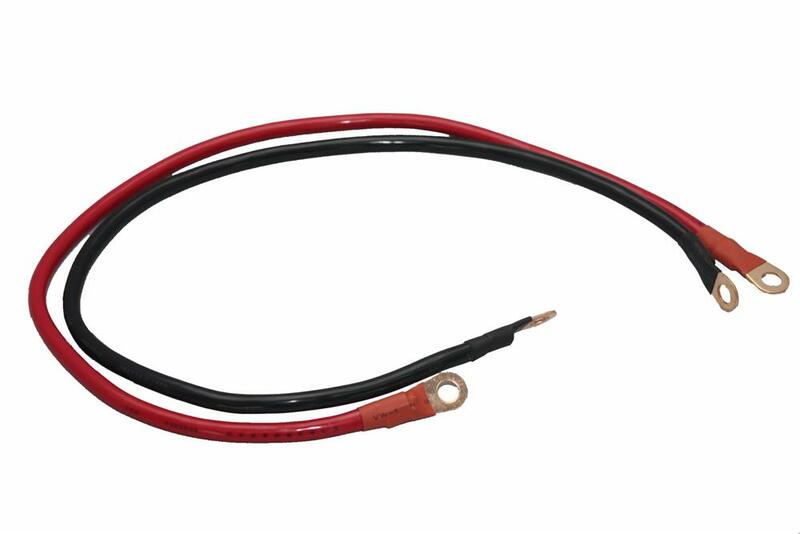 This is a pair of 120 AMP Cables 300cm long, one red one black, designed for transferring large amounts of DC current short distances. Amp rating based on 100% duty cycle for 5 minutes. Also rated at 170A at 60% duty cycle for 5 minutes. They are crimped and SOLDERED and heat-shrinked with eye terminal connectors either end. SOLDERED connections are essential for low loss high reliability cables that will serve you for years with out degradation, corrosion or wear.